Edmund Daly was a career paramedic who stood as one of the finest examples of his profession for nearly three decades. 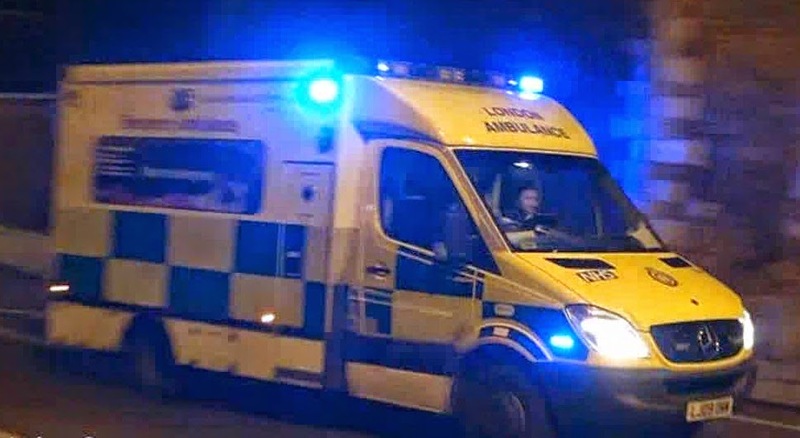 Until 2013, when London Ambulance Service saw fit to dismiss him for ‘gross misconduct’ after he reportedly refused to attend a 999 call at the end of a busy shift. The decision, and Eddie’s treatment by the ambulance establishment both before and after his dismissal, is viewed by many as a travesty. I met Eddie on 24th April 2015, to see how he was coping with life after the ambulance service and to get his version of events. I found him to be a mild-mannered and softly spoken man who is still proud of his career, but deeply saddened by its end. 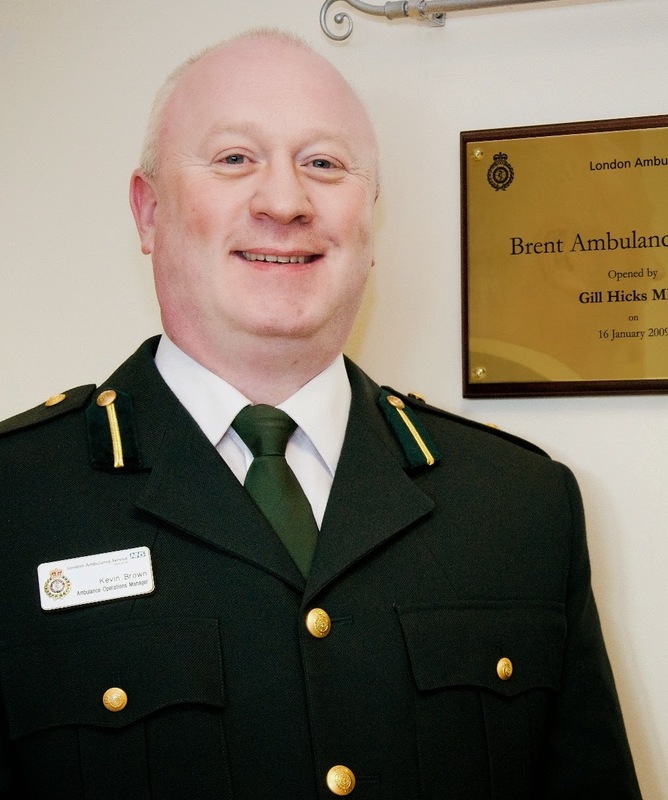 He started working for London Ambulance Service in 1984 and due to his care, empathy and diligence soon became widely respected and admired by his colleagues and the patients he treated. 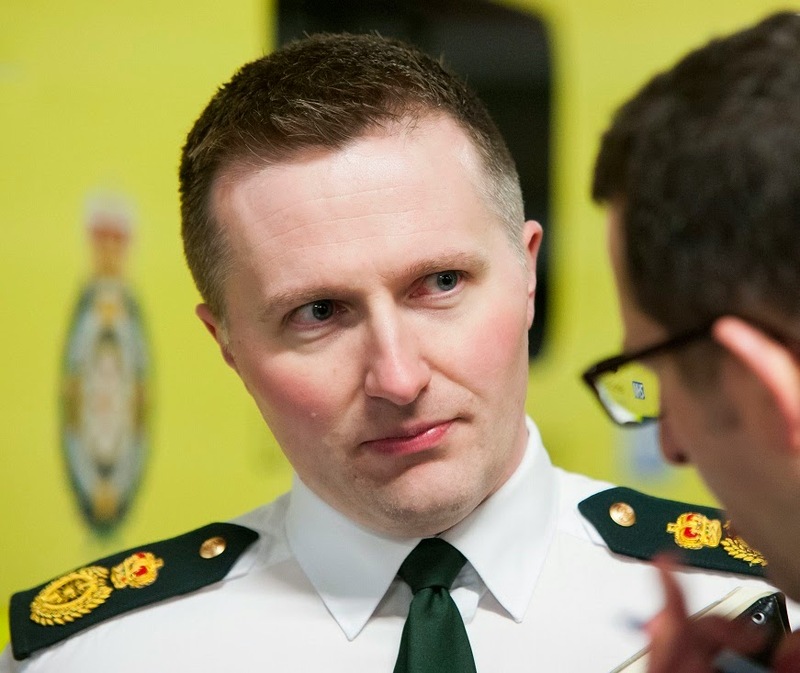 Unsurprisingly, his professionalism and attention detail saw him become one of the first generation of paramedics when the role was first introduced in the early 1990s. His natural aptitude as a role-model and mentor led to him becoming a team leader in 2001, which made him responsible for guiding and advising junior clinicians as they attended emergency calls together. 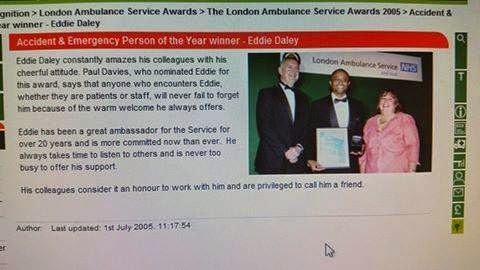 Eddie was recognised for his excellence in 2005 when he was awarded ‘A&E Person of the Year’ at the yearly London Ambulance Service awards, at which he was described as ‘a great ambassador for the Service for over 20 years and is more committed now than ever’. But on 3rd July 2009, perhaps in part due to Eddie’s undiminished enthusiasm and willingness to help, his world darkened. 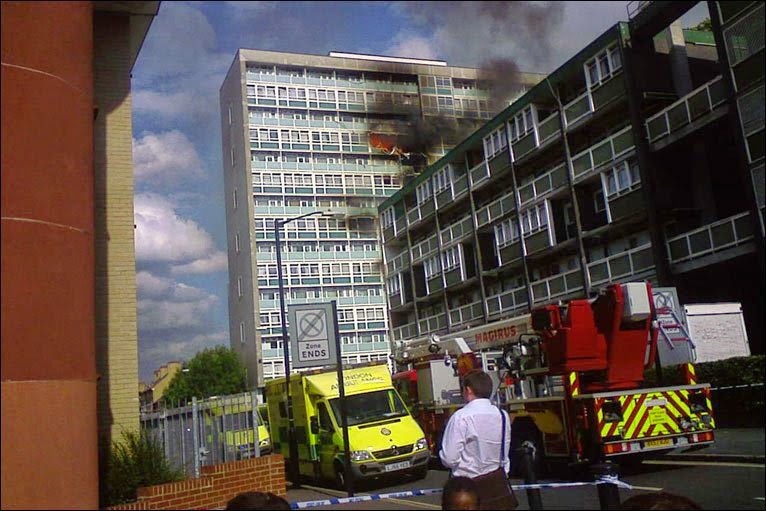 A 999 call to a burning 14-storey tower block in Camberwell required ambulance officer attendance, but none were immediately available. Eddie offered his assistance and was despatched to attend. When he arrived, the London Fire Brigade was tackling fires spreading to several floors of Lakanal House. While Eddie was providing support on the ground in the absence of inbound ambulance officers, he was approached by a friend of Dayana Francisquini, who was on the telephone while trapped inside the burning building. Eddie took the phone and, while trying to reassure and advise the distraught woman on the line, trapped in Flat 81 with her two young children, he sought to inform commanding officers of their plight. By this time, an ambulance officer had arrived and taken control of ambulance co-ordination. Eddie reported to her, but felt he was chided for bringing unnecessary details when there was ‘already enough to deal with’. Nonetheless, the information had been passed on. Or so Eddie hoped. Although 30 people were rescued from the blaze and 15 were taken to hospital for treatment, 26-year-old Dayana Francisquini, son Felipe (3) and daughter Thais (6) were overcome by fumes and died along with other Lakanal House residents, Helen Udoaka (34), her three-week-old baby Michelle, and 31-year-old Catherine Hickman. Eddie was persuaded instead to take some time off and to seek counselling and treatment, which he did. He returned to work some time later and managed to get back into the swing of things. He felt things were returning to normal and was once again able to cope with the demands of his paramedic duties. But in November 2012, preparation for a public inquest into the Lakanal House incident required Eddie to turn his mind to those harrowing events once again. Returning to the scene of the fire and providing input for the upcoming inquest triggered Eddie’s torment again. He began once again to suffer bad dreams and sleepless nights. By Spring 2013, Eddie was suffering from gastro-intestinal problems, which caused him further discomfort and anguish. Early investigation led to the need to rule out bowel cancer, but later that year, the problem would be diagnosed as severe diverticular disease. Despite mounting health problems, Eddie was still a professional, passionate about his job, and continued to give the public and his colleagues his best. Indeed, as a single man living alone, the rewarding aspects of patient care and his interaction with his colleagues were of critical importance to his coping mechanisms and his motivation, especially while dealing with physical and mental illness. It is to his credit that he was still able to function ably. But by now, he had begun to understand his limits. With eroded health due to his job and the continuing increase of an intolerable workload, his shifts were becoming more and more challenging. He did his best to endure. As dedicated as he remained, on 29th May 2013 after more than 11 relentless hours of ambulance attendances without a break, he had reached a critical point. He was fatigued and his still undiagnosed abdominal illness was causing him further distress. He was concerned for his crewmate too, a young female paramedic who was also showing signs of stress and fatigue. As they prepared to head back to their nearby base station from their latest drop-off at hospital, an ‘amber’ 999 call to a 43-year-old woman ‘feeling faint, dizzy and vomiting’ was assigned to them. Eddie contacted the control room and contested the assignment, trying to explain that he felt that neither he nor his crewmate were fit to attend another call. He explained that he ‘didn’t feel right’ but was embarrassed to elaborate. In hindsight, he regrets that he wasn’t more clear. His concerns fell on deaf ears. The dispatch manager said they had no other ambulances to send. But Eddie was insistent that they were unfit to endure yet another call. Although he never uttered the words ‘I refuse’, his concerns were documented as ‘a refusal to attend’ and Eddie doesn’t dispute this. After eventually being stood down from the call by dispatch, he and his crewmate returned to their base station. As she departed in another vehicle to her home station, Eddie made use of the facilities in an effort to address his growing discomfort. There was evidence of bleeding. Some time later, beyond the end of his shift, Eddie visited the dispatch manager to discuss the earlier altercation and offer an explanation. His high standing with colleagues extended to dispatch staff and he describes his relationship with the duty manager that night as a positive one. He explained his position to her, pointing out his poor physical condition. The dispatch manager seemed satisfied with this, gently scolding him with a slap on the wrist and a ‘let that be the end of it’. Sadly, it was far from the end of it. A few weeks later, following a meeting of managers on 23rd June 2013, the decision was taken by then Assistant Director of Operations (Acting) Kevin Brown, to suspend Eddie pending an investigation. The news was heartbreaking for Eddie and his torment was compounded by the LAS policy requiring him to have no contact with his colleagues while the investigation took place. As he continued to struggle with his demons, he found himself ostracised and alone. His only permitted contact was his union representation and a management-appointed ‘staff liaison officer’, the latter with whom Eddie had no contact for the first 22 days of the investigation. Eddie described a gruelling five-hour interview with the investigating officer, Maria Smith, who he felt had some sympathy for his circumstances but was powerless to do anything about it. He described a moment when her colleagues left the room and she appeared to want to say something but was unable, instead giving him a hug. It wasn’t until August that the Staff Liaison Officer informed Eddie that the investigation had been concluded. Eddie acquired a new GMB union representative, Josef Kane, to defend him and preparations began to clear Eddie’s name. ADO Kevin Brown was initially expected to chair the subsequent misconduct hearing, but Mr. Kane and Eddie felt this was a conflict of interest due to Mr. Brown’s involvement in instigating the investigation. After significant delays, Director of Operations Jason Killens took the role. The hearing would not take place until 15th May 2014. During preparations, it soon became clear that the investigation had been far from thorough, failing to take into account Eddie’s health concerns. Additionally, the transcripts of the communication between Eddie and dispatch on the night of the incident when finally released by LAS were incomplete, missing out key parts of the exchange which could prove that Eddie had explained he was unwell. Pressure to provide the full recording finally bore fruit two days before the hearing, but that left no time to prepare. As a result of the delayed evidence, Mr. Kane advised Eddie to ask for a postponement of the hearing, which gave them a further week to review the new material. Prior to the hearing, an exchange of emails between Eddie, Mr. Kane and the presiding officer, Jason Killens, saw the senior officer dismiss grievances raised at Eddie’s treatment throughout the investigation and a breach of confidentiality as ‘at best peripheral to the disciplinary hearing’. A reply from Mr. Kane challenged this, but Eddie became worried that it would provoke a less favourable outcome and withdrew the grievances without consulting Mr. Kane. This caused friction between Eddie and Mr. Kane, with the GMB rep explaining that withdrawing the grievances would undermine Eddie’s case as in so doing, the points could not be considered later as a point of appeal. So Eddie, feeling that he had little choice, contacted Mr. Killens and reinstated the grievance email. On the day of the hearing on 29th May 2014, it soon became clear that it was going to be a whitewash, despite Eddie having a number of warm written testimonies from high level officers and the defence’s misgivings about Eddie’s treatment at the hands of his employer. The grievances as detailed in the email were not heard, with Mr. Killens stating that they had no bearing on the allegations of the case. The investigating officer, Maria Smith, was known to be unavailable to appear at the hearing (which had apparently been the case for previous hearing dates too), something which Eddie’s representation protested about. Instead, it was claimed that Keith Miller was the report author and investigating officer, despite documentation proving otherwise. Mr. Miller, when questioned on elements of the investigation documentation, was repeatedly only able to reply ‘I don’t know, I didn’t conduct the investigation’. The investigation findings were accepted by Mr. Killens as is, without scrutiny. The transcript evidence of Eddie’s explanation that he couldn’t continue to work that night because he was unwell was dismissed after focusing on his use of the phrase ‘I don’t feel right’ (also reported as ‘I don’t feel this is right’, adding to the controversy). Eddie explained later that he was embarrassed to discuss the details of his ailment over the phone and pointed out that his choice of wording is perhaps also partly due to his natural language patterns and his fatigue. He is, however, documented as having said ‘you can make us patients too because right now I am tired’ and ‘I think this is dangerous and unreasonable’. It seemed reasonable to the defence that, with so many procedural anomalies regarding various statements which were inappropriately withheld – and especially with a key investigating officer being unavailable (it has been suggested that her absence may have helped to disregard any shortfalls in the investigation) – that the case would be thrown out, the charge be lessened due to mitigating circumstances, or at least found to be requiring further consideration at a later date when the investigating officer was available. Despite the host of reasons for a more favourable result, they were dismissed as not relevant and the charge of ‘gross misconduct’ was railroaded through, much to Eddie and Mr. Kane’s surprise and dismay. Eddie had nothing left but the chance of appeal and with the management showing an apparent hunger for the most severe punishment, he held little hope. Eddie’s torment continued until his appeal on 26th August 2014, at which Jason Killens presented the management’s case to the appeal panel. The incident was reported, but no overt action was taken by London Ambulance Service and a subsequent third-party report to the Health & Care Professions Council regulatory body resulted in the officer being given a ‘reflective practise’ verdict, meaning he could continue in his role. On hearing this evidence being brought up in Eddie Daly’s appeal, Mr. Killens reportedly ‘hit the roof’, expressing a desire for disciplinary action against the Health & Safety EMT who had divulged the information, claiming ‘we’re going to have to sort him out’ and ‘I’m going to see what weight I can bear on this’. The precedent set by the case was not considered in Eddie Daly’s appeal and what weight was brought to bear by Mr. Killens on the whistleblower is unknown at this time. Evidence was produced that showed the initial investigation was conducted with a clear bias toward proving that Eddie Daly ‘just wanted to get off on time’ despite the fact that Eddie had remained on station long after his shift had finished. No regard toward his health and welfare was given. The decision to dismiss Edmund Daly for ‘gross misconduct’ was upheld. Eddie Daly considered taking his case to industrial tribunal. Frustratingly, his union was unwilling to take the case on as they ‘couldn’t be sure of LAS’s reasoning’ and so he was forced to spend £6,000 on independent legal advice. There is only a three month window in which industrial tribunal proceedings can be instigated and at the eleventh hour, the legal representation Eddie had engaged advised him that his was a ‘50/50’ case and would cost a further £34,000 with no guarantee he would get his money back even if he did win. He felt he had no choice but to abandon any attempt to proceed. Edmund Daly’s 30-year career as a decorated London Ambulance paramedic was over. He had been forced out of the job he loved for reasons that he could not understand. To this day he still doesn’t. Eddie himself reported his case to the HCPC and in April 2015 it held a hearing. He did not attend, the burden of the endless litigation weighed heavily on him and couldn’t face any more. The HCPC found him to have ‘seriously undermine[d] public confidence in the profession’ and suspended his paramedic licence for a year. Eddie’s lack of comprehension was documented as ‘not demonstrat[ing] any remorse’. Today, Eddie continues to struggle with PTSD, he is still haunted by events from his career and saddened by his treatment at the hands of the organisation that was part of his life for so long. He is reported as being ‘fragile’ by friends, but is focused on putting his ambulance career behind him and has recently retrained as a care assistant. Despite no-one being able to help him, he’s still trying to help others. Eddie was let down by his union rep. Plain and simple. There was also no need to spend that amount on any sort of legal representation. Employment Tribunals are intended for the "litigant in person". You, your friend, a colleague, your union rep or your dear old mum can either assist you or represent you at the hearing. Having in contemplation that this was a prima facie unfair dismissal, the union should have instructed their solicitors to take up the representation. That is what Mr Daly paid for. There was absolutely no need for him to find £40,000 of his own money to bring the case. This sadly is what happens when the unions are in the pockets of the management. Killens and GMB are very snugly in bed with each other. That is how and why he is able to bully his staff into the ground with impunity. It is highly likely that I am going up against Mr Killens in the very near future. I have yet to have the pleasure but you can be sure that I shall be looking forward to it. I am both stunned and appalled at the obvious miscarriage of any justice. Perhaps LAS chief executive will suspend the managers concerned while this is thoroughly investigated, preferably by the police or independent enquiry as "perverting the course of justice" comes to mind? The Union concerned should also hang its head in shame for the inadequate and non existent legal representation. 01) Prioritize all tasks and projects equally. 02) Delay action on major and minor projects then make snap decisions. 03) Set arbitrary deadlines and stick to them. 04) Keep "top level" information to yourself and deluge juniors with innumerable details. 05) Publish standard operating procedures that are neither standard nor the procedure. 06) Involve subordinates in the decision making process by having them attend a merry-go-round of unrelated meetings. 07) Maintain an atmosphere of crisis. 08) Recognize best practices by ignoring them, they'll go away. 09) Stratify management and encourage bureaucracy. 12) Embrace the status quo. Decay is preferable to change. 13) Lavish praise on minor accomplishments. 14) Silently live by the motto, "No policy is the best policy." 15) Keep the rumor trade busy by not stating objectives. 16) Publish costly, colorful, and content-free internal bulletins. 18) LAS is always right…even when they are stupid. 19) The physical laws of time and space were meant to be broken. 20) The problem isn't a lack of ambulance resources it is a lack of meetings. 21) When in doubt ask for status reports. 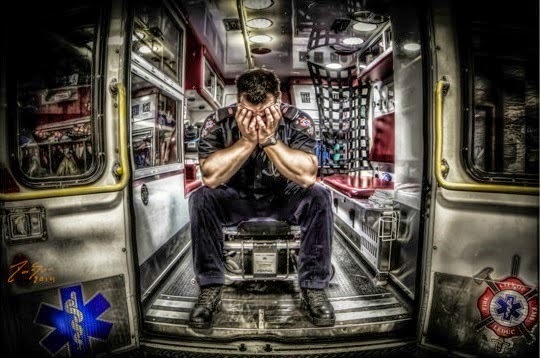 22) Low morale is caused by character flaws in the ambulance workforce. 23) Employee illness is a manifestation of laziness. 24) Abuse is a form of recognition, and recognition is what every ambulance worker wants. 25) Pretend to care…learn how to hear without listening. 26) Give empty promises of promotion – enjoy all the motivational benefits with none of the costs. LEAVE YOUR MORALS AND YOUR CONSCIENCE AT THE DOOR. THESE WILL NOT PAY FOR YOUR GOLF CLUB MEMBERSHIP OR YOUR LODGE FEES. This comment made on 14 April was right on the money! It also seemed to hit a nerve with someone if you read one of the replies. It is likely the only reason London Ambulance Service disciplined Ed Daly was because it had missed another Red Call target. It is unlikely that a 43 year old 'feeling faint, dizzy and vomiting' in pregnancy is suffering from an immediate life threatening condition that would justify the risks involved of sending a fatigued crew who have not had a break 11 hours into a busy night shift. As if to prove the point LAS were so concerned that they couldn't be bothered to get an ambulance to the patient for another 90 minutes – although they, (and the HCPC) appear to be blaming Mr Daly for the further 90 minute delay – instead of the chronic shortage of qualified staff which caused Mr Daly's busy shift, missed breaks and likely Post Traumatic Stress Disorder. Shouldn't they be more concerned at the daily risk to the public caused by shortage of ambulance resources and lack of any basic health and safety precautions for ambulance staff. (Even convicted prisoners are guaranteed 3 square meal-breaks a day). No doubt the controllers, senior managers and HCPC jury involved would applaud the conviction for cowardice and shooting dead of shell shocked soldiers during world war I. After all wasn't that just to 'send a message'?" Unfortunately this does not surprise me. as a member of the ambulance service for over 30 years I can honestly say that you are "guilty until proven innocent" within the service and there is no regard for your previous service record as a decent member of staff. I am actively seeking another job as I have now had enough of the relentless workload and the attitude of control staff and managers who frankly don't give a toss about the road staff who are out there doing the job to the best of their capabilities but without the support form those "in charge". I used to love my work – now I hate my job !!!! Contrast the the way Eddie was treated following the Lakanal House fire with the support the fire service provided to firefighters who attended. I know of at least one firefighter who was off work for at least 7 months with PTSD following this fire. "As part of the preparations for the inquests a team of legal, operational, communications and Advisory & Counselling officers was formed to provide the appropriate support to all of the Brigade witnesses. This included face-to-face briefings on the procedures to expect at the inquests and welfare assistance in attending to give evidence. Throughout the inquests Brixton Fire Station was used as a base for the Brigade witnesses and guidance on Brigade policies relating to contact with the media was provided to all staff. The Brigade’s Advisory and Counselling Service was also made available to provide private personal support to witnesses both before and after they gave evidence." Can't find anything reporting that firefighters were subsequently screwed by their employer because the trauma of attending gave them PTSD. As a paramedic with IBS problems myself when I am fatigued, I have every sympathy with Eddie Daly. I am appalled with his treatment. I wish he could have defended himself with the HSPC but understand why he did not. I am shocked at the clear apparant management vendetta and poor representation he received and would like to leave a message for Eddie which is as follows. You are better off out of it. They are have screwed you over but you have nothing to be reproached for and evryone of us who have worked in the job for any length of time know it. Don't let them make you feel ashamed of yourself in any when they are the one's who should truly disgusted with their behaviour. I hear you. Been in the job 11 years, 5 as a para. Making my exit plans as we speak. Totally clean record and I do my utmost for all patients, even the unfortunate ones. But enough is enough. Go to the bank, get a loan and retrain. Get out before it gets even worse. The LAS,Unions and the HCPC are all in it with each other. A Nice Cosy bed for them all. It is impossible to be judged by your peers. those to throw the first stone. J Kill ins was never a good ambulance man. Thats why he is were he is. I endured 27 years and this poor man survived 30 years. Look and see how many senior members are directly involved in the HCPC. enough said. I can't imagine this will make any LAS employees feel comfortable about coming forward with their personal problems but then again…..maybe that was the intention all along. K Brown and J Killens, well what can I say! They sound like really lovely managers! I'm another one with exit plans. over 12 years in. I advise you to leave now while you can. Where appropriate, I always try to use inclusive language like 'clinician', 'ambulance worker', 'operational staff' and 'front line crew'. However, this story focuses on the experiences of a particular paramedic. An EMT does feature in this account though, so there was indeed a mention. Fortunately, I have a good success rate with the HCPC and the cases I represent in. I will not discuss how or why on here, but through experience, I fully understand them. Most employees on the receiving end of the disciplinary, sickness and capability process have no idea or experience of the 'process' they are in. The whole process is stacked against them including the 'investigating' officer (who very often see themselves as the 'prosecuting' officer – as evidenced by commenters of this blog describing managers 'wringing their hands' when someone has done something wrong). There's no-one independent to investigate from both perspectives. Many in the early stages don't appreciate the process can result in their dismissal, very often dismissal is the aim and also to reduce the chance of findings being overturned on appeal or employment tribunal. So no evidence will be found, come to light, be used or kept that would prove their innocence. There have been cases where evidence has been forged or altered. Anyone would find the process daunting and stressful. This is made unbearable if you're banned from entering stations or speaking to other staff about it. Don't forget, if there's evidence that your situation is partly caused by negligence of others or by illness or injury (including stress) caused in the course of your duties and you have to leave your employment because of it then there are reasonable enhanced benefits you are entitled to under the NHS pension scheme. If you are dismissed (especially for 'gross misconduct') you will lose these benefits. The first time many employees come across this process is very often when they are shocked and confronted by a condescending sickness review or disciplinary investigation. Employees in some trusts have returned to work after a single episode of sickness to be met with a return to work form with a 'target' of 'no more sickness' and are treated rather like a master would treat a serf. This is the start of dismissal on capability grounds because you have already been 'warned' about your sickness, it's also a warning to others. Managers also have pressures from the government, NHS England, directors and senior managers to achieve sickness rate targets, they're also experienced in these processes, employees are not. With regards sickness, the result is although the intention is supposedly to target a small minority of employees who they consider 'take the piss' they end up targeting clinicians going sick with work related illness and injury, stress and PTSD, bad luck years, older clinicians, the disabled, cancer sufferers and long term illnesses, staff who are abused or assaulted end up being a target. I don't know why, in another case mentioned, a retiree was given the indignity of a written warning about their sickness on their last shift after 30 years service, unless it was a warning to others. This sort of behaviour toward an employee who has given their life to public service is inexcusable and certainly doesn't appear to occur in the other emergency services. Whats not been highlighted in this whole sad story is the fact that the crews/Unions in London do everything they can to AVOID meal/rest breaks. In other ambulance services in the UK , once you get to a certain part of your shift, you are off the road and unavailable till you have had a meal break . In london the Unions refuse to allow this, maybe the author of this blog should approach Unison and GMB and ask why they insist on this stance ? Ha ha avoid a rest break…. clearly you don't work in London, most staff haven't had a rest break in over a year if they're working on an ambo because as soon as you green up you get a job immediately. I worked for the LAS for 20 years and then retired (early) just went for a part-time position to help me live on my pension they phoned the prospective employer and told them I'd been sacked for sickness! Not in writing so cannot do anything about it! The LAS is corrupt if your face fits or you are a manager you can get away with anything. I know of mangers who are hooked on drugs been done for fraud drink driving etc yet get promoted and keep their jobs yet this guy worked hard served the public for all those years and gets treated like this disgusting. Twisted sick corrupt service. your missing the point , in other services, once you get past a certain point you are off the road and unavailable for ANY call until you have had a rest break. Unions in London refuse to allow this , so your own unions are stopping you from having a rest break. People i know that work for LAS say they prefer this due to the money they get for not getting a break. You cant have it both ways, case like this one where everyone is up in arms about a 12 hour shift and no break , yet don't realise the only reason people do not get breaks in London is down to the rest break policy they have which does not guarantee them a break- and there own unions and staff agreed to it. Whats not been mentioned much is that Eddies crewmate on the night also got a final written warning for not going straight to senior managers and telling on eddie. The reason she didn't do this was that eddie, as already mentioned, had already gone to control to address the situation. What's also interesting is that the bullying report commissioned by the LAS has still not been published, 5 months after it should've been. If you got to whatdotheyknow.com and search for LAS, you can see they are very, very reluctant to publish it in spite of repeated FOI requests. According to Eddie, his GMB union representative, Josef Kane, was supportive and knowledgeable throughout. Eddie speaks highly of him. Attempts to source legal representation from the GMB legal team hit a brick wall because the legal advisor allegedly refused to take up the case BECAUSE there was a 'comparator case' and there was no available evidence to explain the LAS thought process behind the two different decisions. I'm no litigator, but that sounds to me like exactly the grounds you need to prove that a decision was inappropriate (or at least that one of them was). I cannot understand or explain this advice at the moment, but it certainly gives weight to the idea that the system is stacked against the 'litigant'. I accept your argument, but if you miss your break you are entitled to finish 30 mins early – yes I know, this rarely happens because you will likely be on a call or on your way back to station – but at least there is a chance. You have to weigh up the benefits of being unavailable after 11 hours 30 minutes (if not on a call) and a regular missed meal break payment, with the obvious concern of not having a break. I don't think LAS staff particularly go out of their way to avoid a meal break, it has just become 'accepted' custom and practice. Also, because it has become a regular payment into your salary would you like to suddenly receive several thousand pounds less in your salary or be the one to stick your neck out and stop your crew mates receiving their expected regular payment? It's very difficult to take a break anyway because you are automatically greened up and immediately given a job at hospital, you are then in the "are you refusing this red call because you are tired" territory. LAS can't cope as it is, how will they cope when every crew is unavailable for a further 30 minutes every shift? Some people are also uncomfortable with the idea that they may be having a break when someone dies close by (yes that is the sort of people we are). The Daily Mail will also tear you apart if they find out "Patient Dies When Paramedics Refuse Call While On Tea Break" comes to mind. Not so clear cut is it? There are other, related issues. The workload is so horrendous that toilet breaks can be difficult to achieve. This becomes more of a problem as you get older and trying not to wet yourself or crap your pants for 12 – 16 hours every day can cause medical problems. I have personal experience of this and try to avoid drinking for the whole shift so I don't require the loo as often. I know many others have the same problem. Reading Eddies story, there are a number of other concerns why didn't LAS occupational health service step in and stop these awful managers? Are the managers a member of any professional body? Prosecution of some of the managers for 'Misconduct in Public Office' comes to mind. Would they pass the NHS 'fit and proper person' requirement? As new evidence has come to light, are there grounds for legal appeal on 'miscarriage of justice' grounds? Clearly these managers should be stopped immediately from any involvement with staff. Their positions are untenable. They have demonstrated a total lack of compassion at the very least. Maybe the unions could assist with a vote of no confidence. Which "Marsh" are you referring to? Anthony Marsh, the one who likes to pretend he's some sort of "Dr" or another one? We all agree Fionna is the right choice to lead the service forward. You will not succeed unless you sack all the managers and start from scratch,and replace them with people who care. Be strong Fionna listen to your conscious, do not get advice from anyone in the service,ANYONE. As I understand it most, if not all the other services have an 'opt in' system whereby they can agree to have their break disturbed if a red call comes in. So how is that any different? It still means you have missed your break or you have the stress and moral dilemma of sitting there on your break while 'general broadcasts' for red calls are placed over the radio. The difference with LAS is there are usually hundreds of calls outstanding before you even start your shift, green at hospital or on-scene. You would be bombarded with constant general broadcasts for red1, red2, hot1 backups and cardiac arrests. Are you going to sit there with the stress and moral dilemma of listening to that or just take a missed break, get the money and hope to finish 30 minutes earlier. I was listening to an EEAST crew radio at hospital the other day and there were 5 general broadcasts in a row in their own local area for red1, red2 and hot1 backups, 2 of them were for cardiac arrests! The crew were unable to respond to any of them but told us when they are on break they get constantly bombarded by 'general' broadcasts obviously aimed at them specifically. The other difference is with LAS even the 'cardiac arrest' is likely to be a drunk asleep let alone the red1 and red2 calls that will probably be left at home. Would I really be 'avoiding' a 'rest'. Are you not going to respond to a cardiac arrest because you are on break? I ask you again what is the difference with your system or will you not attend the uncovered cardiac arrest 'around the corner' because you are on break? incident on their way back to base e.g. Road Traffic Collision (RTC). why does the LAS refuse to implement a similar system ? the crux of this case is the fact the crew had no break , and as shown in the comments from LAS staff above it is "accepted custom and practise" to avoid having a rest break and then when the XXXX hits the fan , highlight the fact thye have done a 10 , 11 , 12 hour shift and not had a break . Probably because in London there would be stories like this in the papers several times a day. I accept what you say about East Midlands, but don't see how a running call or coming across an incident is any different from agreeing to be disturbed if certain calls come in? As regards 'poodling along' in London going back for a break without getting a running call, good luck with that one! You are keen to denigrate LAS staff and unions (the members are the union) for not doing the same as you, but you are the one saying that someone around the corner in cardiac arrest who may be a member of your own family will not get an ambulance regardless if you are on break. Yes I actually agree that the working conditions are terrible and there should be far more resources so everyone can have a break, but the picture in London is different. I'm not going to denigrate your colleagues for their decisions on meal breaks, your service has enough of its own problems. Please don't denigrate mine or all the other services who have certain options for disturbed breaks. Fionna Moore was a strong and progressive medical director with a commendable affinity with front-line staff. However, we should not confuse this with her new role which is obviously a managerial one,with totally different objectives and pressures. Simply put, I don't think that we can jump to the conclusion that she is the right person for this job based on her performance in her previous job. I believe that she has to be judged anew in this role. I don't think the nuances of any particular rest break policy is really the issue. We could debate endlessly the merits of 20 protected minutes in the middle of a shift versus 30 minutes at the end or getting money instead, but none of those solutions make much difference in the face of a career of relentless shifts which will inevitably wear down the workforce. The issue is about the other 11-and-a-half-hours and the sheer volume of work. If ambulance trusts had a reasonable amount of resources to meet the demand, then we wouldn't need to be fighting over scraps from the meal break policy table. When speaking to the public they are horrified that we work such long shifts, with such a short break (if any), for such low wages (for what we do). Yes they sometimes complain that they have had to wait a long time or that a crew hasn't gone out on a call because they are on break but that is when they assume we get paid at least £40,000 a year, more if you're experienced and that we get breaks and can eat, drink and go to the toilet like most human beings have the right to. When they are told even a tiny part of what we contend with every day, with no work/life balance, damaging our health to save theirs and being treated like we don't matter they take it all back, and actually it was never us they were complaining about in the first place, they sing our praises, and although we rarely get the thank you letters we're promised (some of which I'm sure are written but not passed on) it is the fact that deep down we know how much the public appreciates and needs us that keeps us going, after all, there's nothing else to. Working longer than 10h is ILLEGAL under EU- Workplace law. So there may be a line to follow to get LAS to bleed for it still. Apart from that: if a crew is incapacitated by illness, who in his right mind should try to make them work or fire them because of their refusal??? Other thoughts about it: Anti- Discrimination legislation, if the underlaying medical complaint is classed as a disability. Build fire under the people responsible! My 2 cents from a continental paramedic….